Amy Suzanne and I were thinking about getting out of town and heading down to Kerala for the holidays. 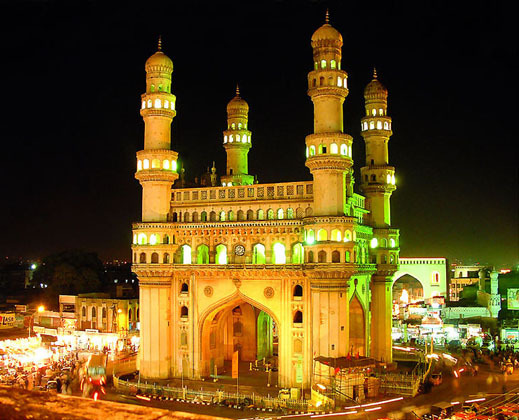 We decided to stay "AT HOME IN HYDERABAD" instead. I think it was one of the best decisions of the year!! 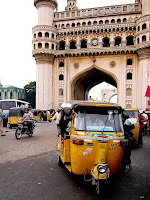 Hyderabad really does feel like home now...well, mainly because it is!! Being far away from our Pasadena home feels a little funny...maybe a little sad...but we talked to friends and family both on Christmas Eve and Christmas Day on our Magic Jack. I wouldn't say that we were getting "homesick" - - but it certainly has been a different kind of Christmas. 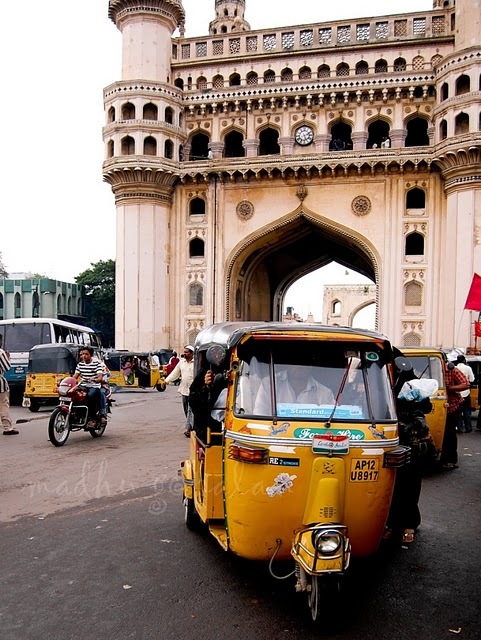 For the record...Amy says that Christmas in Hyderabad is "kind of cheesy". That's not really a bad thing...it's just that there are not enough people here that really GET Christmas. The population is mostly Hindu and Muslim....with a scattering of Christians of different denominations. But - there's not nearly the amount of hoopla and decorations in the stores and around town as in the States. The "Five Star" local hotels put up some nice trees and decorations....and we did a nice brunch for Christmas Day with the Deloitte "Strays". There are a lot of ex-pats who are "out of station" (Deloitte term for "out of the office having fun"!) - in South Africa, Thailand, the U.S. - - even Beirut, Lebanon! Those of us who stayed in Hyderabad are now planning a New Year's Eve party out at our landlords' farmhouse out by Gandipet Lake. Should be a blast!! We woke up early and were both hungry. Well...in the interest of keeping this blog perfectly honest, I woke up and was pretty fussy. I actually woke Amy up (no big surprise, there!). As usual, she was a really good sport! I was pretty bored and really wanted to get out of the house. I was so bored that I was ready to risk my life and take an auto-rickshaw (see above in case you don't know what one of these death-trap contraptions is all about!) over to Jubilee Hills and Beyond Coffee. In a moment of probable insanity, Amy suggested that we take the Skoda. Now...this wasn't completely an off-the-wall comment. Just the day before, Amy had gotten in the car and driven us around the corner and down to Stone Valley apartments. Not a very far drive, but - when we came upon a little traffic, she pulled over to the RIGHT!! Typical American reaction, of course...but - totally wrong for India!!! I liked the idea!! I immediately ran downstairs and grabbed the extra car-key from the "secret" hiding drawer under the statue of Ganesha that Neeraj gave Suzanne for her birthday...and we headed out front to the car. Now...again to be perfectly honest...when she went to open the gate....I tried to get in the car on the riders' side!! This still happens to me after over six months!! With the gate open, I started the car...which caused Jyothi, (our Caretaker Krishna's wife, who was sweeping the upstairs outdoor patio when we were about to leave) to look down in time to see Suzanne wave up at her and say goodbye! Jyothi: "Krishna!! Where are you??" Krishna: "I am on my way home on the motorcycle. Why??" Jyothi: "Sir and Madame are moving the car!!" Krishna: "Oh my God!! What??" Jyothi: "Yes...they drove down the street!! You have to stop them!!" Anyway...off we went. It's a very strange feeling with the steering-wheel on the "wrong side" of the car...and with the gear-shift to your left. I negotiated the quarter-mile or so of Road Number 3 until my first left-hand turn. Again...left-hand turns are akin to our "right-hand turns" at home in the States. It's "safe", relatively speaking, but you still have to be aware of oncoming traffic...and the fact that there is an open-air fruit-and-vegetable stand right around the corner. There are two-wheelers and three-wheelers and other cars going both ways on a very narrow road! Thank God it was early in the morning and there was very little traffic. I made another left-hand turn onto the main-drag (Road Number 2) - doing the same thing I have seen Krishna do a hundred times. The method: You barely slow down....you just pull out. People in other vehicles are supposed to watch out for you!! As long as you are even centimeters in front of them with your front-bumper.... YOU have the right-of-way!! "Very good job, Sweetie!" said Amy, patting my left-leg in approval. We were now fully "out in traffic"....driving toward KBR Park and then to Road Number 36. Now....you need to know that there are different ways of marking road hazards here in Hyderabad. Sometimes, it's as simple as a few stones placed in front of the hazard...sometimes it's tree-branches. If the work (on a pot-hole or sewer-pipe) lasts for more than a few days...the Hyderabad Metropolitan Development Authority (HMDA) will put up a sign. There are no warning cones or flares...just a sign over the "hole". This has been the case for some work going on in Banjara Hills for a few weeks now. I have passed this particular sign with Krishna driving dozens of times!! I saw the sign as I approached it. Amy said: "Do you see it?" ...I said "Yep..."
As I slammed the riders-side mirror right into the rusty metal frame of the sign!! BAM!!! I was watching my front-bumper...but not the left mirror!! "Didn't you see that sign??" Amy asked, in horror! "Yeah, I did. All the way until I hit it!" My mobile phone rang in my pocket. "Oh, man. I know that it's gotta be Krishna calling!!" I pulled the buzzing Nokia out of my pocket and handed it to Amy... "Don't tell Krishna about me hitting the sign!" "Hi, Krishna. Yeah. We're fine. No problem!! We took the car. We're going to Beyond Coffee. Don't worry! No...we are fine. O.K. O.K...."
"Uh oh. He's coming to Beyond Coffee to get us!" And that's exactly what he did. Rode his motorbike all the way over and waited for us to come out. He left the bike there and drove us home. He had Sangamesh, our security man, take him to get it back later that night!! When we saw him...he was shaking his head. "Sorry, Krishna. Sorry, "Dad"... we're sorry we stole the car!!" Here endeth my driving career in India!! Our Christmas was wonderful...the best way to show you how wonderful it was is to show you the photos from Christmas Day. Here is a link to my Facebook Photo Album which I uploaded earlier today. There is much more blogging for me to do. I still have not written about our trips to New Delhi, Jaipur, Agra, Amritsar and Bangalore!! In the meantime...Amy Suzanne and I (and Beloved, too!) wish all of you a Merry Christmas and the happiest and healthiest 2011 possible!! I really appreciate the kind of topics you post here and then conclude your thoughts. Thanks for sharing us a great information, I really appreciate your work, keep it up.